According to the organization of FAO (Food and Agricultural Organization), the production of wood pellets in 2013 exceeded 22 million tons and more than half are traded internationally with 80% of the production is consumed by European countries. The main factors that affect it is the European Union's Renewable Energy Directive, which instruct the use of renewable energy to 20% in their energy mix by 2020. 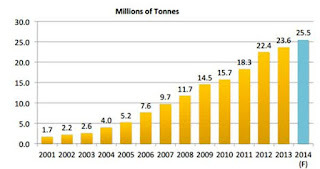 While in 2024 global production of wood pellets predicted 50 million tons. The development of wood pellets industry very massive actually can be traced, in 2007 when the European Commission issued an ambitious program of the Renewable Energy Directive as mentioned above, which is the first factor driving world countries ratified the Kyoto Protocol. Furthermore from the Renewable Energy Directive, the European countries individually create its own policy mechanisms to achieve these goals. One inexpensive and effective approach is to reduce CO2 at the power plant by replacing a number of coal burned in power plants with biomass, which is mainly wood pellets. Policy makers are interested in the above approach, because it would result in the acceleration of implementation rather than wind, solar, water and geothermal. In the UK policy is initially set in the Renewables Obligation subsequently revised to become a mechanism Program Contracts-for-Difference (CFD), while in the Netherlands a similar program was originally known MEP and subsequently also revised the currently named SDE-plus. Countries in Asia are also slowly began to follow, this time two strong economies namely South Korea and Japan began to implement it. The program in South Korea set in RPS (Renewable Portfolio Standard) and Japan implement policies in FIT (Feed-in-tarrif). Gradually various countries began to follow him. While in the United States and Canada, most of the wood pellets used for heating (residential / space heating), especially in winter. 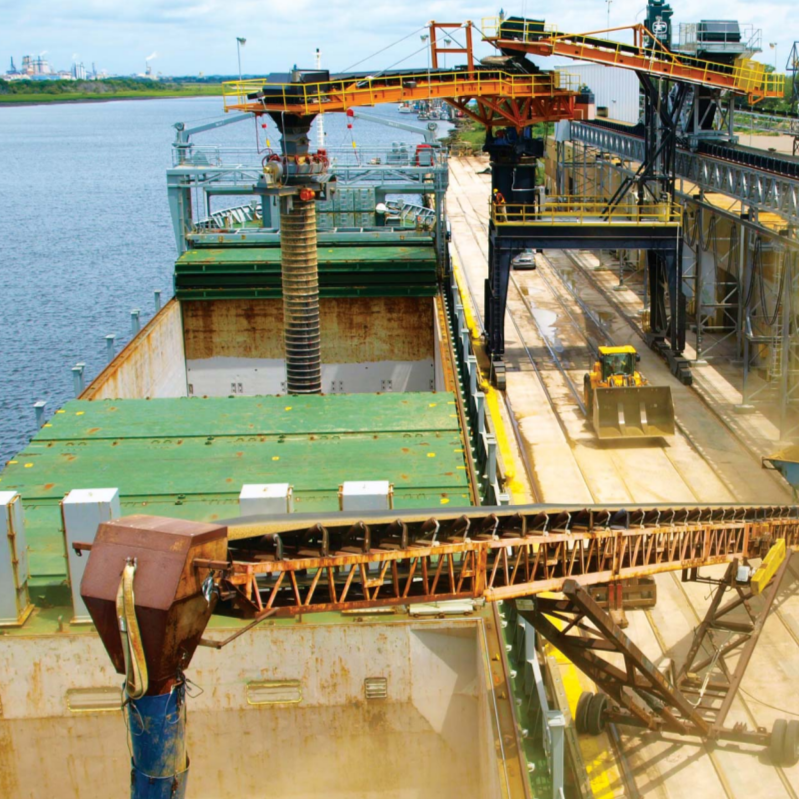 The development of the massive production of wood pellets is much feared by some parties will stimulate the flow of deforestation including the scientist and policy observers have questioned whether energy generated from wood pellets capable of achieving these goals. Actually it does not need to worry, if it knows the production process at the same time selling price of wood pellets itself. 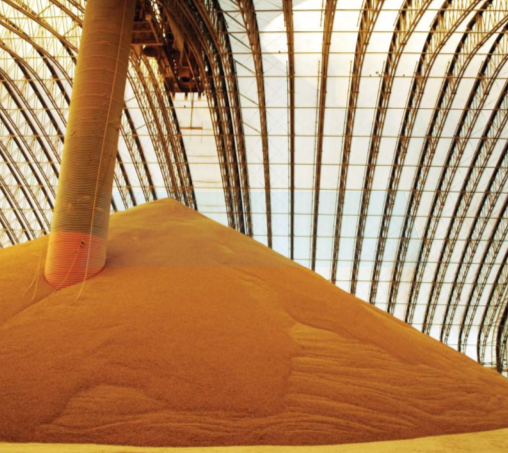 Wood pellets are made from raw material of woody biomass could come from wood-waste or cultivated through the energy forests or plantations, but with a note that the price of woody biomass as a raw material for wood pellets must worth as wood waste. If the price the price of woody biomass exceeds the wood waste in the market, so the production of wood pellets become uneconomical. Trees or plants from industrial forests or community forests will produce wood especially for the sawmill, processing industries wood such as plywood, wood carpentry, furniture, construction, or even CLT (cross laminated timber) and so at rates far above the waste timber. Wood pellet mill also will not buy the wood due to economic reasons. 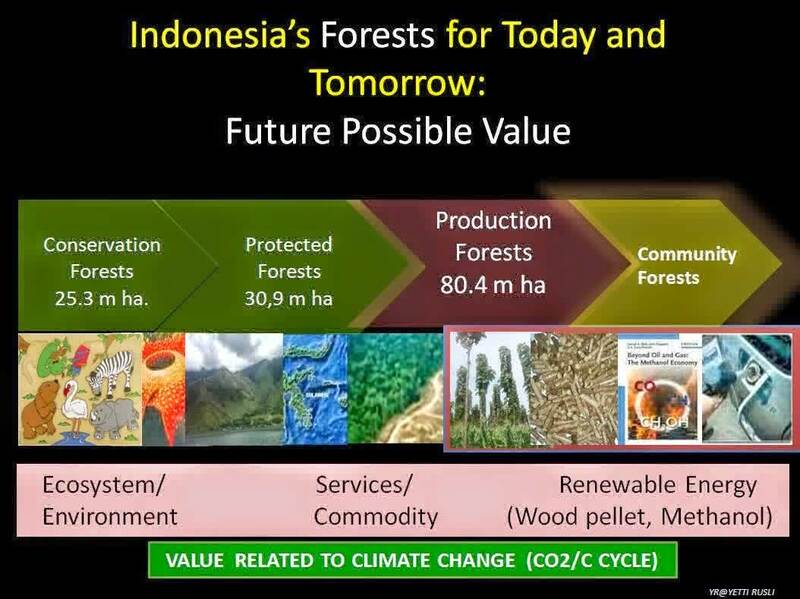 Whereas if the energy plantation forests or plantations so short rotation coppices or fast growing plants will produce woody biomass in large quantities and faster time with use marginal lands or unused lands, so will be economical for the production of wood pellets. Wood from trees as a source of energy is a carbon-neutral fuels in combustion. 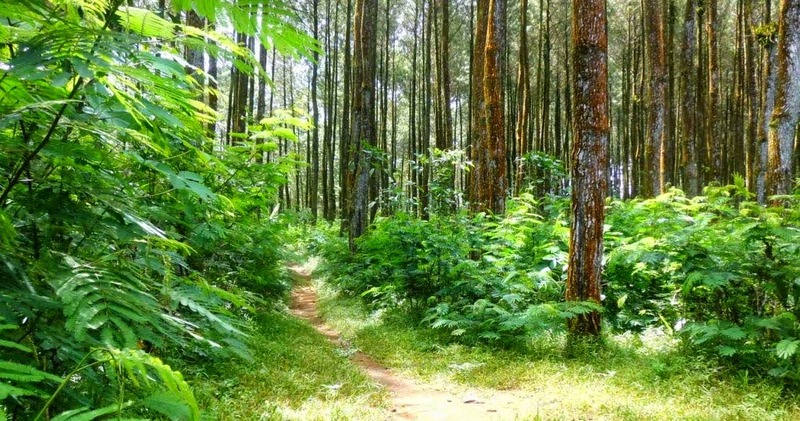 Forests as Carbon Sink if the speed of harvesting and use of wood does not exceed the speed of growing trees or plants, in this case mainly energy forests or plantations. In addition, each MWh of electricity from coal is also emit more CO2 than from wood pellets, which at 150 kg CO2 released coal with wood pellets while only 45 kg. So the use of wood pellets is said to be also a low carbon economy activity. 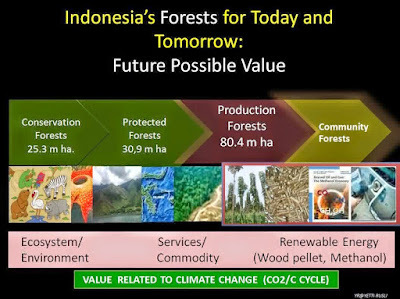 Indonesia has a huge opportunity to capture these opportunities, it is because the extent of land available, the fertility of the soil and tropical climate. Short rotation coppice like calliandra very suitable to be cultivated to obtain the raw material of wood pellets. 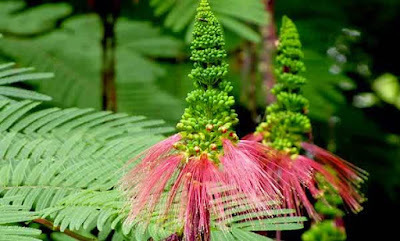 If the conditions in Europe or sub-tropical countries took 4 years to harvest woody biomass from SRC like the poplar and willow, then in Indonesia only took one year for calliandra achieve conditions such as poplars and willows. 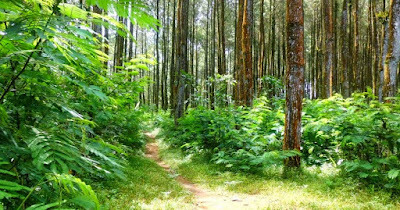 Energy forests or plantations are integrated with other agro-forestry and cattle or goats livestock could be the main attraction.